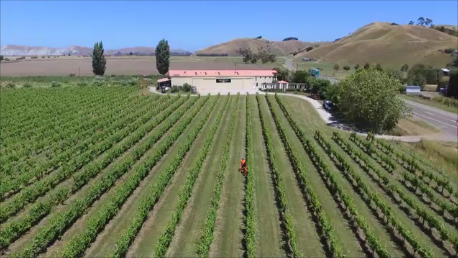 Wrights Vineyard and Winery, produces organic, biodynamic wines in Gisborne, New Zealand. Speciallising in Chardonnay, Pinot Gris, Pinot Noir, Rose, Sauvignon Blanc and Gewurztraminer from the Chardonnay Capital of New Zealand. Our family were winegrowers from the 1920's in Kumeu, Auckland. Husband wife team, boutique winery, nestled in lovely Ormond Valley and Manutuke - Gisborne. Managing 50 acres, selling through out NZ, Islands and China. We also produce olive oil and verjuice. Open for wine tastings by appointment or during our cellar door hours. At Wrights Vineyard we work from the grassroots to produce hand crafted boutique certified organic wines in an ethical and environmentally friendly way. We have two wine styles representing new world wines. The Wrights range are old world styles, sourcing grapes from some of the oldest vines in Gisborne, New Zealand. Winery and Vineyard Tour Winery and vineyard tour at our cellar door, tasting wines from tanks and barrel sampling. Advanced booking required.